Battery And Electric Service Company :: diesel fuel injection, turbo chargers, heavy duty dc motors & more. 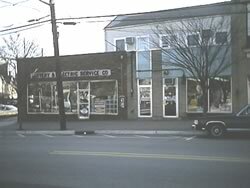 Battery and Electric Service Company, founded in 1928, operates at its original location at 100 East Main Street in Somerville, NJ. Today Battery and Electric is the leading independent diesel injection shop in the Central Jersey area. In addition to the diesel shop we have complete test and repair facilities for common rail pumps and injectors, truck and heavy equipment, starters, alternators, generators, magnetos, carburators. We stock a full range of batteries for light and heavy truck, marine, industrial and commercial applications. We maintain a full line of parts and accessories, plus make custom battery cables and ends of all sizes.